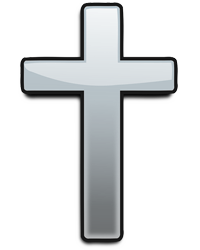 Obituary for Gertrude Maria (Reusch) DeVore | Edward J. Hildenbrand Funeral Home , Inc.
Gertrude Maria DeVore (nee Reusch) was born in Honiff, Germany, on February 5, 1913. She passed away peacefully a century plus 6 years later on February 28, 2019, at the Kutztown Manor. The family lived in Brooklyn, New York, where she attended public school, then moved with the family to Hackettstown New Jersey, where they owned and maintained greenhouses and a flower shop. This endeavor was stopped short by the Great Depression, and they moved on to Newton, where Vincent worked for the WPA and Maria ran a breakfast and lunch teahouse. Later they opened another nursery and florist. After graduating from Newton High School, Gertrude became a professional seamstress, working and living in New York City. There she met the adventurous and fun-loving Gerald DeVore. They were married in 1940. Gertrude cherished her role of mother, homemaker and volunteer. Her favorite pastime was sewing but she also knitted, painted pictures, made beautiful crafts and worked with stained glass. Her stained glass angels were a main attraction at the Kutztown Historical Bazaar. She delivered Meals on Wheels; volunteered at the Reading Hospital every week, knitted a few hundred baby caps for newborns, and worked on many town committees. Gertrude was a devout Catholic. She was part of the organizing committee for St. Mary’s Christmas Bazaar for many years. She and Mary Rupert ran the “coffee and donuts social” every Sunday after Mass. Gertrude and Jerry had three children: Gail, Jan, and Jerry Jr. Gail and her husband Clyde Wood’s family included Betsy, Jody, Peter and John. Jan and her husband Charles Sibal had two daughters, Amy and Cory. Jerry and Francine lived across the road from Gertrude with their two daughters, Kimberly and Lisa. It was a comfort having family close by. There are twelve beautiful great-grandchildren: Cassie, Timothy, Lucien, Isabel, Grace, Halo, Salamon, Cooper, Scarlett, Sophia, Gianna, and Vincenzo. Gertrude and Jerry traveled to many U.S. National Parks and to Europe. In her later years, she loved spending time in Vermont with her daughter Jan, exploring, endearing herself with folks in Vermont, and visiting yearly with her sister and family in Connecticut. 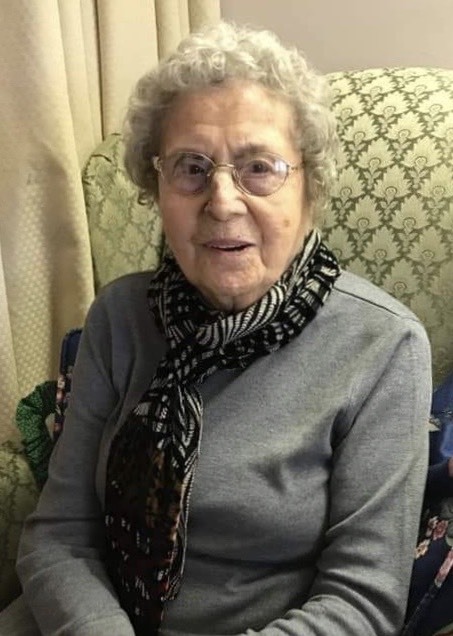 A church service for Gertrude will be held at St. Mary’s Catholic Church, Kutztown, Pennsylvania, on April 6, the Calling at 10:00 and a Mass at 10:30. Edward J Hildenbrand Funeral Home Inc. Kutztown in charge of arrangements.